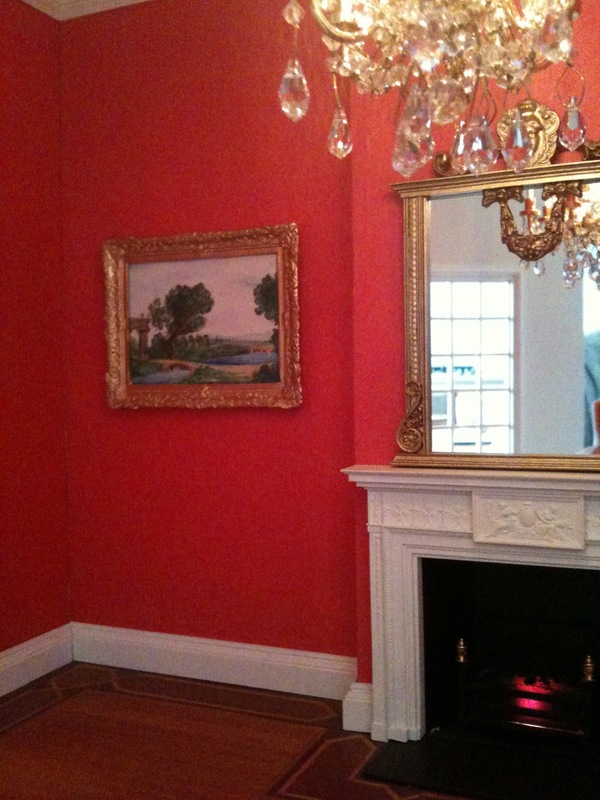 Architecture of Tiny Distinction: Miniature Manet or Tiny Titian? When it comes to dollhouse art I am very discerning. A house needs art. Having studied art history at university I consider myself terribly well qualified to undertake such important decisions. My boyfriend's father thoughtfully bought me some tiny sticker pictures the other day that I thought would do just fine. 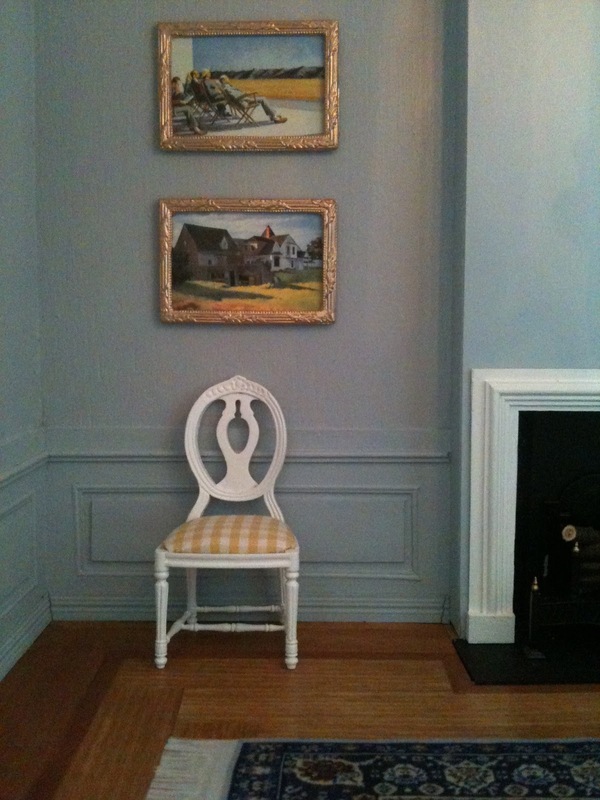 I cut out the terrible pixilated prints to liberate my nice frames. Edward Hopper went particularly well in the parlor. However, I came to the conclusion that some "originals" were also necessary. But what artist? A Titian allegory? Perhaps a beautiful Manet? 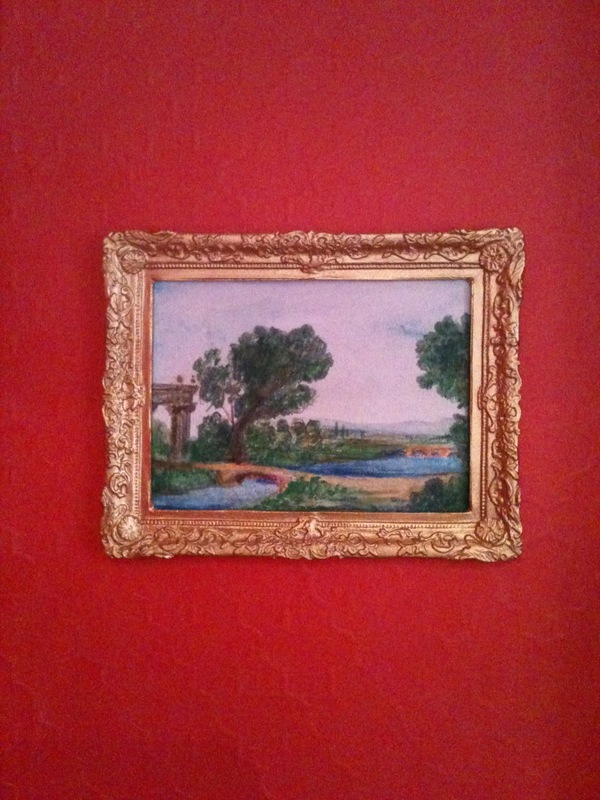 In the end I settled on an arcadian landscape by Poussin. I used water colour pencil because it is much less messy than paint and allows for a "painted" look without the fuss of mixing colours - it's kind of a cheat. My pea-sized Poussin looks very charming in the dining room. A masterpiece! As an art historian I can tell! You are so talented dear!